I put chemicals in people’s food. I have been shamed for this, but the shame I have given myself hurts more. My two year old was having a MRI “to rule out anything”. The MRI went over the scheduled 15-10 minutes. Finally, after over an hour, the MRI was complete and the doctor asked me to sit down. He told me my toddler had a mass in her head and that he is admitting her to the hospital. I asked to use the phone to call my husband. I told him calmly to get to the hospital, I heard him running and he was short of breath. Then I called my mom and could barely talk through the sobs. She got angry with me for not being able to talk; then she got upset. We were both hysterical. I thought that a toddler that vomits daily after eating breakfast, should be checked for food allergies, rather than undergo a MRI. My husband and the Pediatrician decided a MRI was necessary. I was angry with both of them. Why my kid? I try to blame the chemicals, but after taking a graduate toxicology course, I couldn’t find a link. I tried to find a link, I need to know why. Eventually, I decided trying to link chemicals to cancer is a distraction that prevents us from finding the facts. My kid is the 5% that survives a brain tumor with very few complications. 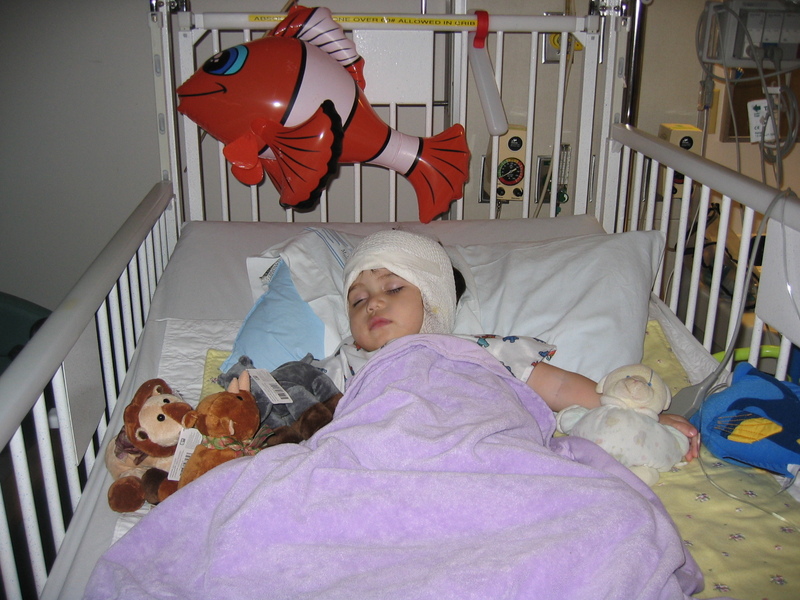 Most children are not diagnosed quickly. Of those, over 60% will have a fast growing(malignant) tumor. Their outlook for survival is grim. A brain tumor killed one of my friends in middle school, Tatiana. I went to her funeral. A brain tumor killed one of the high school students my mother taught. These are horrible tragedies that I used to think happened to other people. Childhood cancer is a tragedy that happened in my family. It happened because childhood cancer is common and we do not know how to prevent it. Money and material things mean nothing compared to a child’s life. 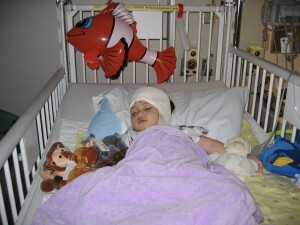 Please donate to Pediatric Brain Tumor Foundation and help find cures: HERE. I am really sorry to hear this news ,may your child overcome the tumor. I thought that a toddler that vomits daily after eating breakfast, should be checked for food allergies, rather than undergo a MRI.